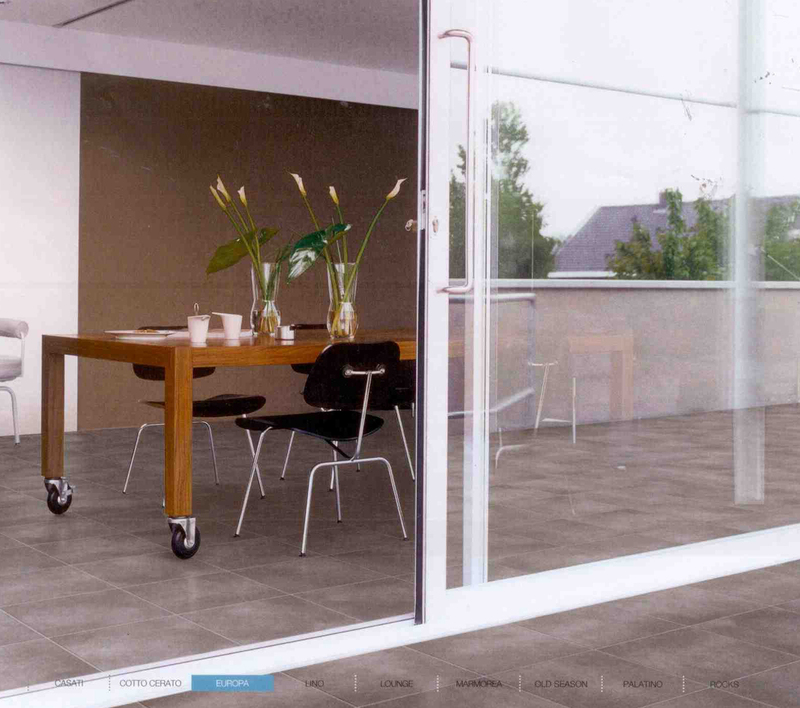 When considering the use of porcelain tiles outdoors, in a patio, terrace or pool area, the most important consideration is the grade of tile and its suitability for outdoor use. 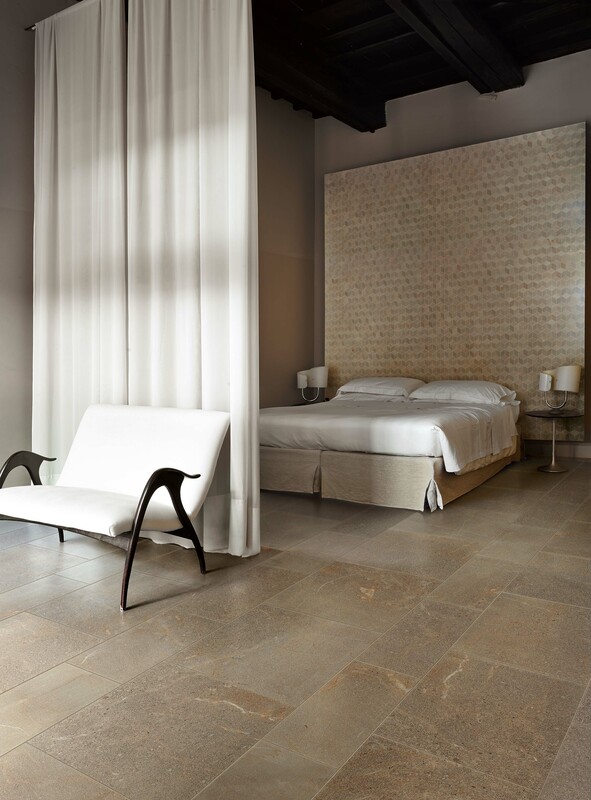 Not all porcelain tiles will withstand extremes of weather so be sure to select Grade 5 tiles and double check their suitability with the supplier. When thinking about using porcelain tiles outdoors there are a number of important considerations to take into account. Firstly, and very importantly, porcelain tiles have different grades and you will need to check that your chosen tiles are Grade 5 i.e. suitable for outdoor use. Check with the supplier or manufacturer if you are unsure and double check that they are suitable for extremes of weather if that is relevant to where you live. Secondly, ensure that the substrate is suitable for the tiles you are considering. The substrate should be a concrete base that is mesh-reinforced, where possible. Ideally the concrete base should be smooth and flat but if there are any minor surface irregularities then you can use a levelling compound or, for major level differences, lay a bonded cement/sand screed first to level the substrate. To avoid problems with the screed shrinking (and causing tiles to crack), allow it to dry out for 1 to 2 weeks. Only apply adhesive to a small area at a time to prevent it from drying out before all the tiles are laid – a good example is what you can lay in 20 minutes but this very much depends on the climate in which you are working and the drying time of the adhesive. Remove any excess adhesive from the tile surface immediately as it is difficult to clean off once dry and can stain some tiles. Allow to dry for at least a day (longer in very cold weather) and protect from rain during the drying period if necessary. Once the adhesive is dry you can then apply the grout between the tiles; the type you choose is important because some grouts are only suitable for narrow joints but others for wide joints up to 20mm. Press the grouting well down into the joints so that no air pockets are created and remove the excess with a damp cloth. Again, leave to dry for at least a day, covering if it starts to rain. It is essential that all products you choose to use outside – the porcelain tiles themselves but also the adhesive, grout and any sealants – are water and frost resistant if they are to remain in good condition through all extremes of weather. Only porcelain tiles of a certain grade (Grade 5) are suitable for external use so always check the suitability of the products you select with your supplier or manufacturer.